The first thing that comes to the mind of most people when talking about time tracking apps is remote work. They are an essential tool for supervising the activities of the remote workers and freelancers you hired. However, more advanced software like Time Doctor provides you with so many features, that will not only improve how you work with people who are not at your office but actually enhance your business as a whole, in and out of your workroom. We cannot think of a better app than Time Doctor, a unique service that we have successfully implemented in our workflow. Our company, FixRunner provides WordPress support services for customers all over the world, and Time Doctor is an essential part of it. It is a vital productivity tool, and we could not imagine our business without it. In this article, we will provide you with an insight how we use it, giving you an idea and inspiration to implement it in a similar way. Time Doctor is a very advanced software, with tons of features- some of which we are not even using to the fullest. Nevertheless, we will mention those features too, letting you decide how you can use them for your business. Let’s go! 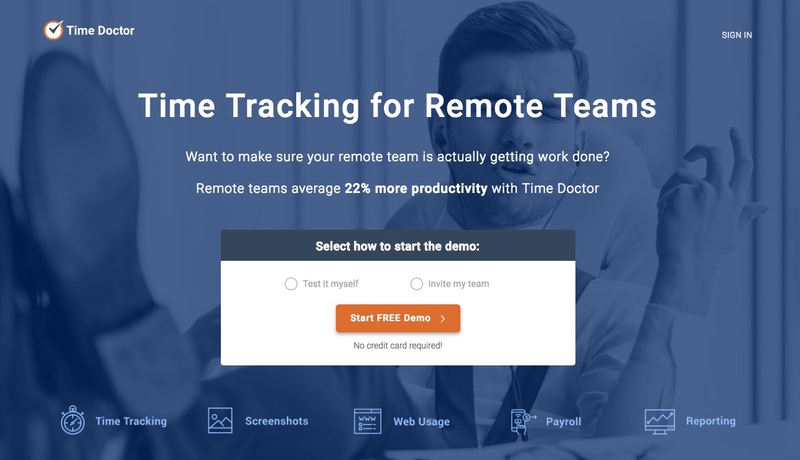 Time Doctor is a must-have service, both for remote and in-house work, an easy to use solution that delivers you an overview of the entire working process in your company. It gives us an insight into our employees working day and workflow, displaying all the essential information that tell an enormous amount of details about each individual’s productivity. Depending on the settings you decide to use, it gives you everything- from basic information like the time spent on each project, to websites visited and apps used, all the way to screenshots of work done, and the number of keyboard and mouse presses between the two screenshots taken. The greatest thing about Time Doctor is the amount of flexibility it allows. It gives you as much as you need. For freelancers, it is a useful software for simple time tracking and allowing your clients proof of your work and ask for payments. However, it shows its real power when used by companies, allowing us total control over the whole organization. All the settings can be turned on or off — you decide what to use. It can help you to automate the entire process of work/payment, and it can even give your clients an insight to check up on the work done at any time. What do we use Time Doctor for? Tracking the time our employees spend on various projects. Paying our employees for working hours in and out of the office. 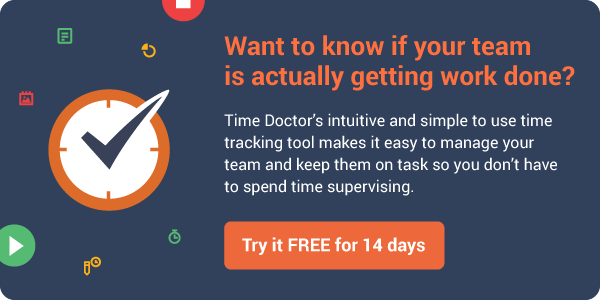 Since our whole WP support business is about time-based subscriptions, we are using Time Doctor to monitor if a specific project is not going overtime. If it is, we can notify our customers and charge them accordingly. FixRunner works in a unique way. Our clients buy a fixed amount of minutes/hours of support time, and we use Time Doctor to see if the fix had taken longer than it was supposed to, so we can bill accordingly, but only after we contact the customers to see if they agree. Time Doctor allows us to share the exact amount of time the fix took, and even screenshots of the work done as proof. Time Doctor is first and foremost a time tracking tool, so it is critical that it does its primary job correctly — and it does. It puts a variety of different tools in our hands, giving us plenty of information how the employees spend their working hours. Depending on your preferences, you will be able to choose which specific tracking feature you want to be enabled for each employee. The Manage Users panel will allow you that. It will also let you set user permissions — administrators have the full access, the managers can see everything but mostly in view-only mode, while the regular user will only be able to see their own dashboard and info. Of course, before doing anything, you first need to invite your employees to join your company account. Also, the “Company settings” panel will allow you to make all the essential changes on the company-level, such as the name, logo, invoice information, invitation settings. There, you can also turn the Time Doctors features on or off — Screenshots, Work Schedules, Advanced Payroll, Payments, Website and App tracking, Projects and permanent tasks, Clients and other. We will talk about some of them a bit later. After setting up those few things, you are pretty much done with the settings panel, at least when it comes to time tracking. As a manager, the most of your supervising will happen in the Dashboard, Screenshots and Reports panels, so let’s break them down a bit. The Dashboard is our Time Doctor profile homepage. It provides us with some quick information and an overview of what is going on in our company at the moment. It offers the most recent screenshots (if you enabled them in your settings of course), a simple timeline showing what our employees did the past day and low-activity screenshots to quickly see if someone was recently a bit too lazy. However, the dashboard only gives the most basic information, for anything more than that you will have to check other panels. 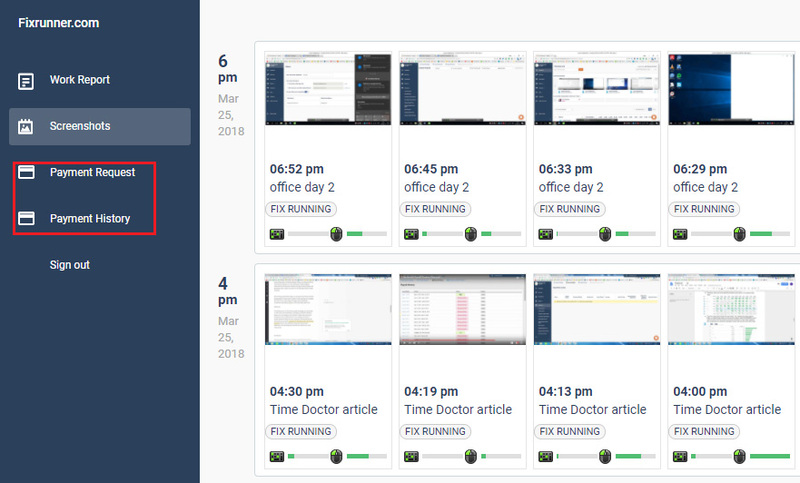 In the “Screenshots” panel we can find screenshots of each of our employees work from the past day/week/month, divided by their name and the project worked on. 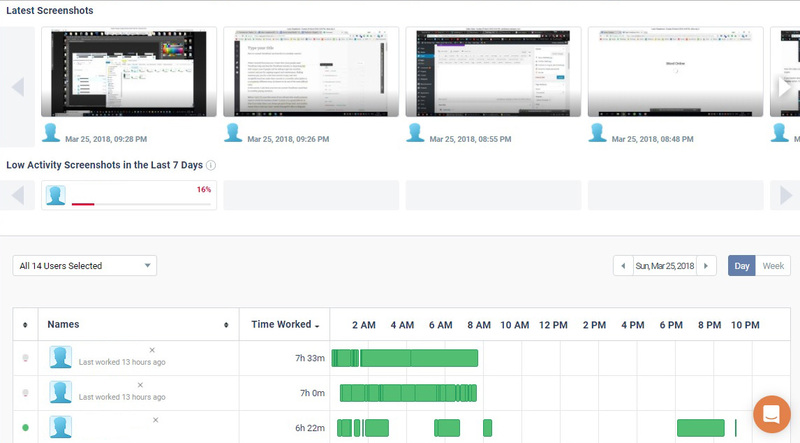 Under each screenshot we can see the number of keystrokes and mouse movements your employee made per minute, giving you a real insight into his/her productivity. All images can be downloaded as well. 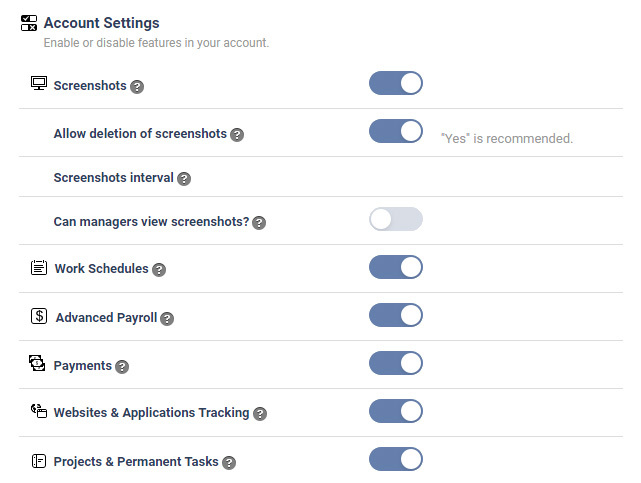 Choosing how often the screenshots are taken is an option you can set in the settings. We will not share any screenshots of the Screenshots page here. We would have to blur the whole thing, so no point in doing it. Many people think that screenshots are too intrusive and that they break the privacy too much. But, the Time Doctor not only allows you to turn the feature off, but also only takes screenshots, links and other information when the app is on, and ACTIVE. So it does not track anything when off, or when your employee is on break. This separates it from many other competitor time tracking services that are continually monitoring the data, even when the working hours are over. Besides, think about time tracking apps like security cameras. Yes, you can misuse them, and watch over people all the time- but nobody in their right mind will ever do that. You only look at the security camera footage when something unfortunate happens, or if you get suspicious- the rest of the time, you just check it up from time to time, to see if everything is in order. 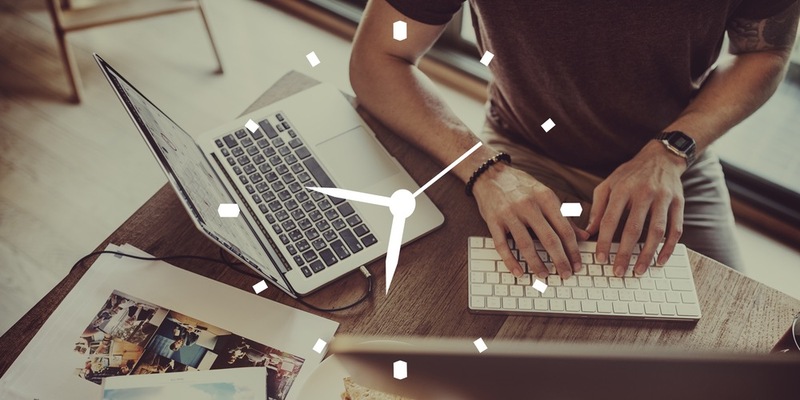 Time tracking services work the same way- you will check screenshots and app information only if you think one of your employees is working ineffectively. Moreover, the fact that you own a surveillance system will probably discourage at least some misdemeanor. The same goes for time tracking apps- your employees will be discouraged to procrastinate, knowing that if they do, Time Doctor will record their behavior. One great feature of Time Doctor is actually to delete screenshots. If your employee knows that he has not been productive for a while, he can remove the screenshots that are showing that inactivity — of course, he will also delete the recorded time, and will not get paid for it. Timesheet – allows us to see total time worked by each person, in the selected date range. Time Use – shows the work time spent on each project. We can later give our clients this information to show them how much time the fix took, and if it went over the time they paid for. Timeline – this report panel shows the efficacy of our team, graphically. There we can see if they are taking breaks too often, or if their work is separated in too small chunks- meaning they are not deeply focusing. Poor Time Use – this panel shows time spent on “useless” websites, but only if total time spent there is above 10 minutes. You do not your employees wasting time on Facebook for example unless of course, your work requires it. If you see a smiley face that says “No worries,” you know that your employees are working hard, and you are good. 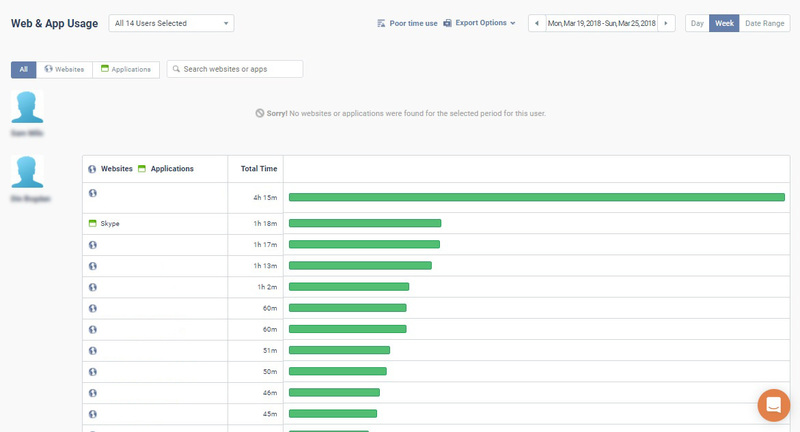 Web & App Usage – in this panel you will find the names of every program your employees used, and every website they visited, with the exact amount of time spent in each. Projects – this panel shows how much time was spent on all projects by each employee but also on each task and subtask the project contained. Attendance – in this panel you can see when your employees start working, when do they finish, and compare that with how much time they are supposed to work. However, since our company does not have strict working hours nor work schedules, we do not use this panel much. The payroll option is one of many features that separate Time Doctor from other time trackers. Without these advanced options, it would only be a clock on steroids, but it is so much more than that. Payroll settings take a bit of time to set up, but once done, and the automation starts happening, the Payroll feature will save so much of your time, and simplify the whole payment process. Remember, our company has 13+ employees, and without tools like these, paying the earnings would be tough. Time Doctor has integrations with Payoneer, PayPal MassPay, TransferWise, and other popular money transfer services, but you can add your own too. It creates a CSV file for you, and you only need to upload it to your payment method of choice (we tried PayPal and Payoneer), and you are done. 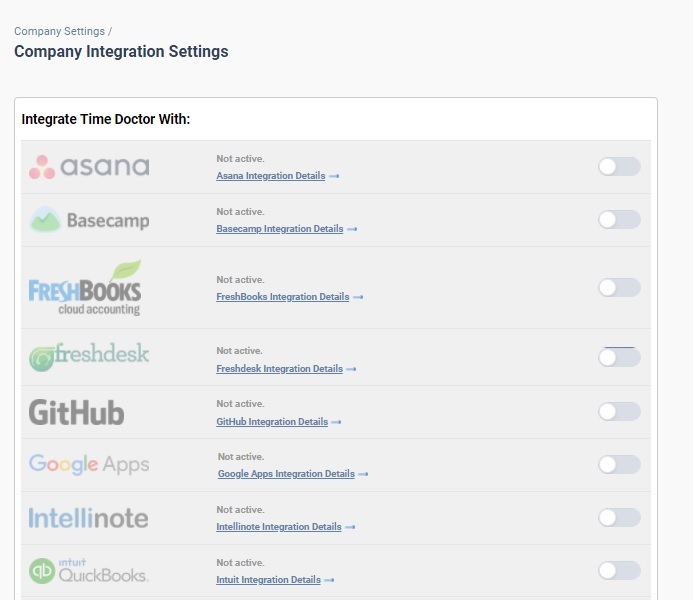 In the settings, you will find the “Clients” panel, which is another impressive Time Doctor feature. When you set it up, you will be able to give your clients an insight into the work they paid for. You can provide them with access to specific projects, and for individual employees, or for all projects, and all employees. The Clients feature makes everything transparent. Your customers will know that you have nothing to hide and that they get the best service for the money they paid to you. Like we said, Time Doctor is really powerful, and because of the nature of our business, we do not use every feature it offers. For example, our company does not have shifts or a strict work schedule. Our employees choose their own working hours so there was no need for us to use their Work Schedules setting. Also, Time Doctor allows you to integrate a vast amount of third-party services into your workflow, both on the company level, and for individual users, and it will never stand in your way. Time Doctor is such exceptional service, and an essential part of our company’s workflow. From the second we started using it, it has skyrocketed our productivity, both for in-office, and remote workers. It is a unique tool, with an enormous number of features, and it really should be the keystone of every successful company. Hello there! 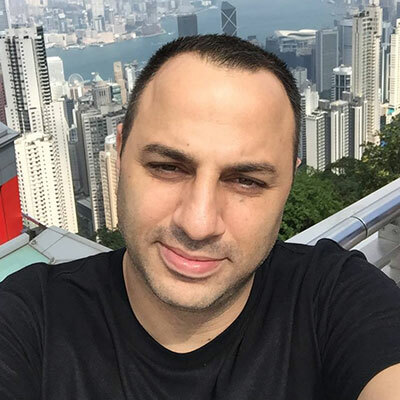 My name is Sam and I’m the founder and head of fixrunner.com where we maintain and support any type of WordPress websites, these days I’m spending most of my time developing this fast-growing business. I don’t get many chances to write about WordPress but when I do I just love it!